What is the Construction Protocol? 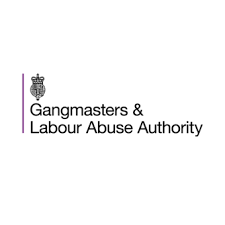 The Construction Protocol is a joint voluntary agreement for those involved to work collaboratively with the GLAA to share information that will help stop or prevent the exploitation or abuse of workers. It was launched in October 2017. What do signatories commit to? A number of organisations have signed up to the Protocol, including IEMA, BRE, Marshalls, the Sustainability School and Ardea international. Why Has Ardea International joined the Protocol? Ardea International seeks to harness the power of organisations to help transform communities, particularly in addressing modern slavery. It supports business to work beyond their legal compliance obligations, be collaborative and influence policies. The Protocol gives us an opportunity to support the GLAA’s vision and share our expertise to help shape change. “We are delighted that Ardea International has signed up to our Construction Protocol and pledged to fight modern slavery and labour abuse. What does the GLAA,Deputy Director say about Ardea’s involvement? “When organisations agree to the protocol, they commit to work in partnership with us to protect vulnerable and exploited workers. They also agree to share information to stop exploitation and pledge to raise awareness of slavery through supply chains. “Around three million people are employed in UK construction and the industry contributes over £100 billion to the economy. However, there are challenges and we consider construction to be a high-risk sector for labour abuse and exploitation. Home • News & Insights • Modern Day Slavery • Why join the UK Construction Protocol ?